Congratulations to all the students who participated in the 2017 AHC and many thanks to those teachers who registered students. The 2017 results and evaluation are now available on the website. The top students in Year 7 were Kaya Sayer (Manly Selective School – NSW) and Zoe Fraser (All Hallows School – Qld). 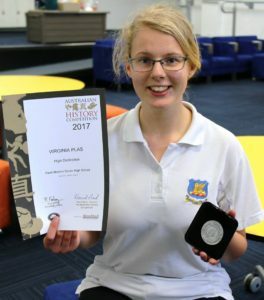 The top student in Year 8 was Sarah Berry (Home Education Network – Vic). The top students in Year 9 were Bejamin Jones (Belconnen High School – ACT) and Alan Xiong (Scotch College- Vic). 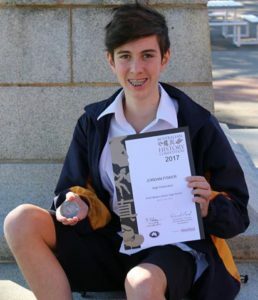 The top student in Year 10 was Benjamin Lawrence (Bendigo South East College – Vic). Alongside these students all state winners received medallions acknowledging their achievement, including Virginia Plas (Year 9) and Jordan Fisker(Year 8) from WA.